This contemporary gem sits on a quiet cul de sac within the desirable Skypark neighborhood. The warm, inviting kitchen boasts a butcher block island, granite counter tops, and gas range. 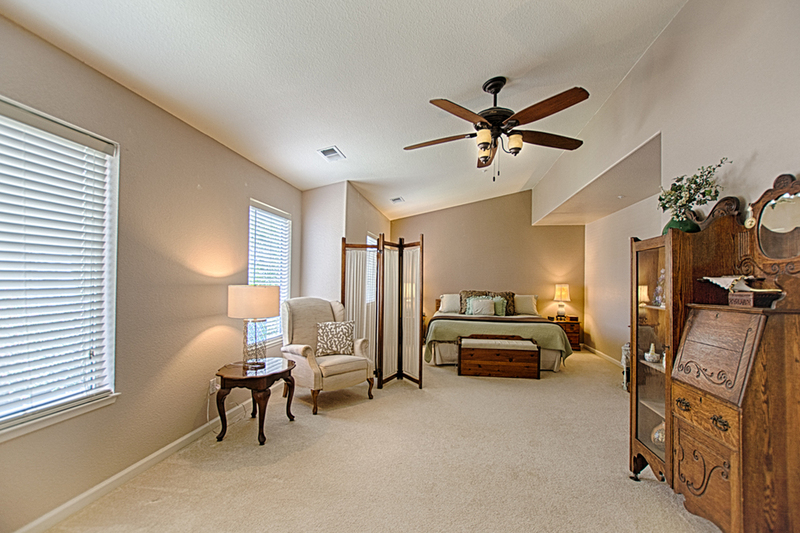 It opens up to the comfortable living room, complete with fireplace and laminate floors. A separate formal dining / family room combo creates a natural flow leading to the staircase. Upstairs, the beautiful and spacious master suite exceeds expectations with a master crafted private bathroom and large windows over-looking the back yard. In addition to the three bedrooms, there is an open landing space at the top of the stairs for an office or reading loft. The fenced backyard and garden allow for ease of entertaining, including a green lawn and back porch landing. The home features the nearby playgrounds, trails and fields of Skypark where the outdoor recreation activities are endless-and has quick access to the movie theater and shopping. Experience the best living available in Scotts Valley!